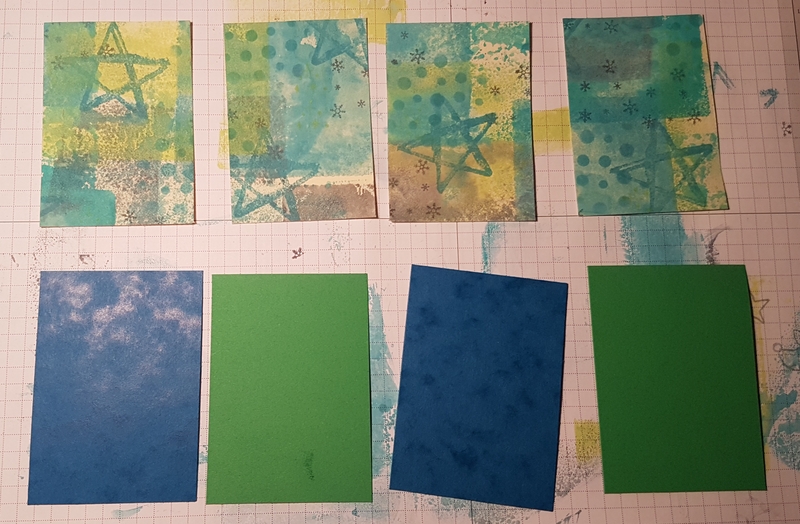 Today I have four ATCs I’ve made using my favourite medium ever… distress oxides! 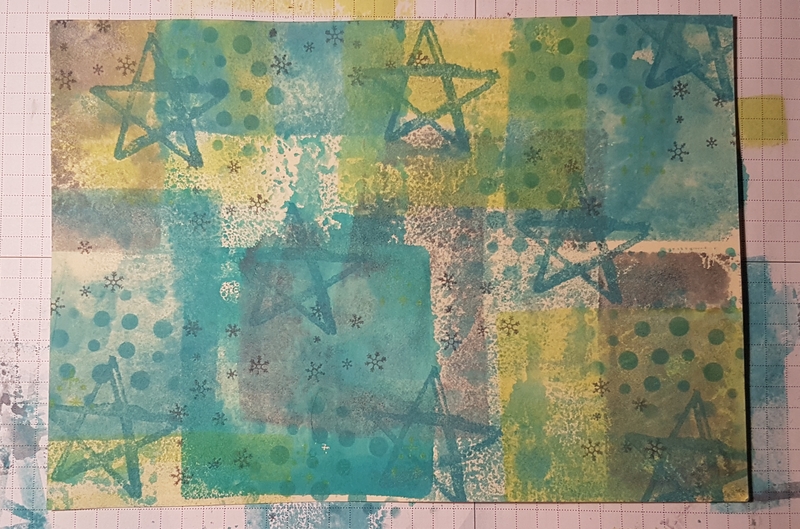 So yes another entry for the Paperartsy challenge on their blog and four ATCs towards my 365 challenge. 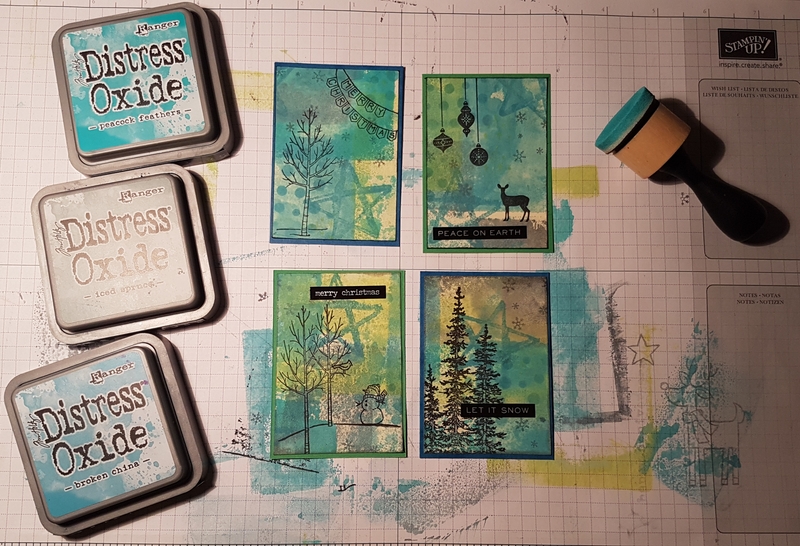 But once again I’ve broken the no more Christmas in August rule… and made 4 ATCs as card toppers for my Christmas card stash. I started with a piece of cream cardstock from the stash A5 size and used the square gel press mini to add the inks. I used broken china, peacock feathers, iced spruce and twisted cotton. This provided a pattern to the colour albeit a loose pattern. Next I added stamping and stencilling. 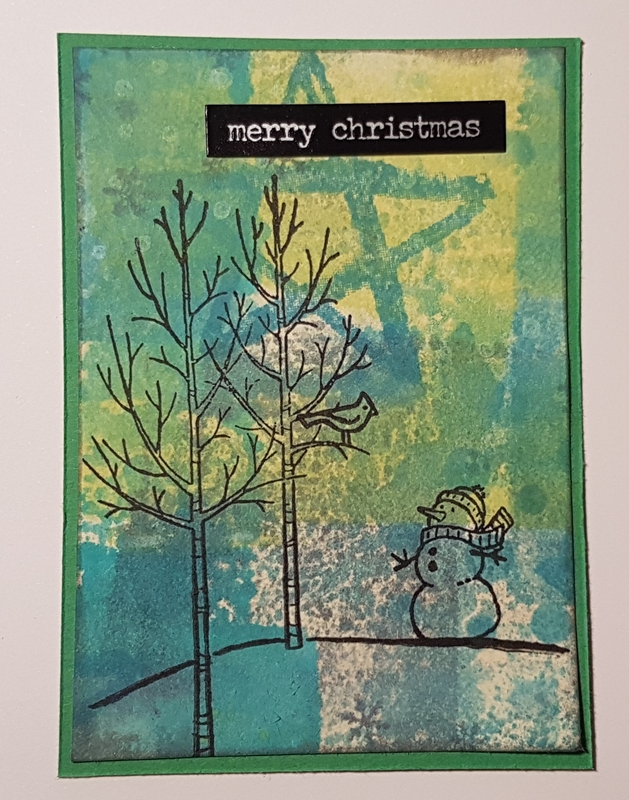 I used a mixture of SU stamp sets new and old and used the same colours of ink to add the stamping and the stencilling. Then I cut my pieces… I cut them slightly smaller than the ATCs and also cut some cardstock to the right size for the bases. 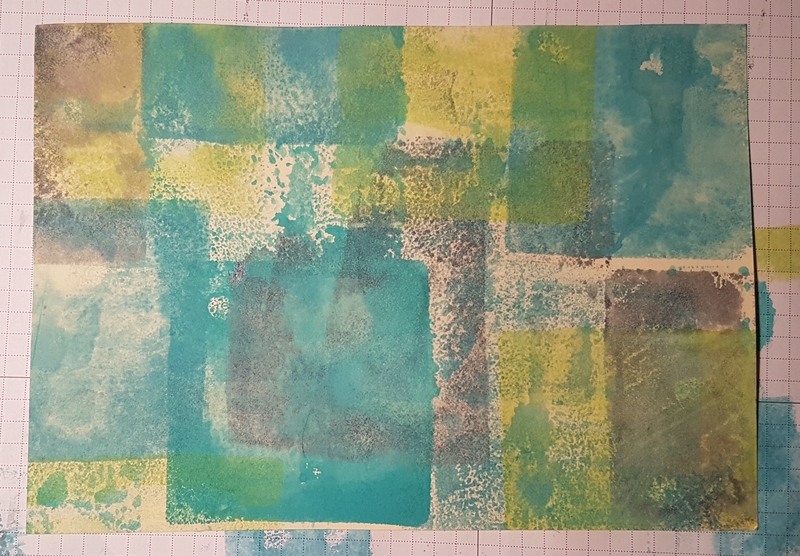 I do have some little pieces leftover but none big enough to make into a complete atc so I’ve set those aside to use another time. Then I went about adding feature stamping. 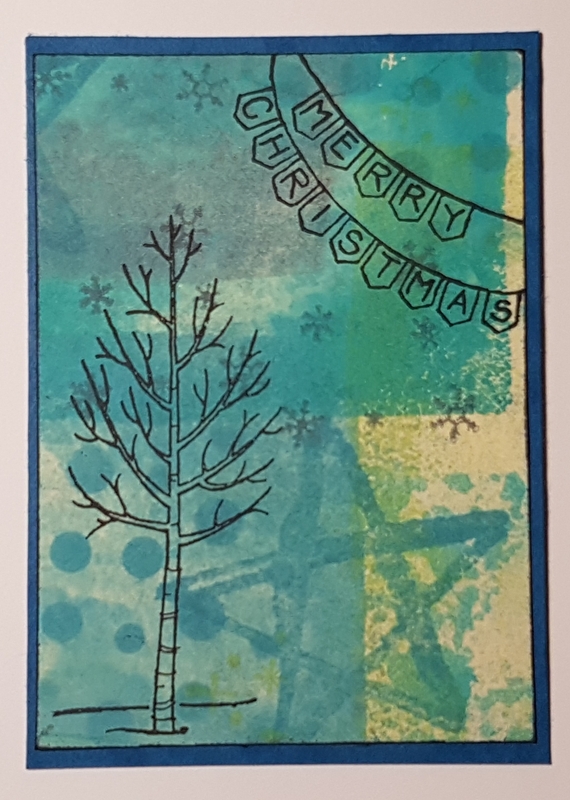 For two I added stamps from a retired stamp set… White Christmas. Then I used Wonderland for this one. Then the last one I used Carols of Christmas to add the baubles and deer silhouette. 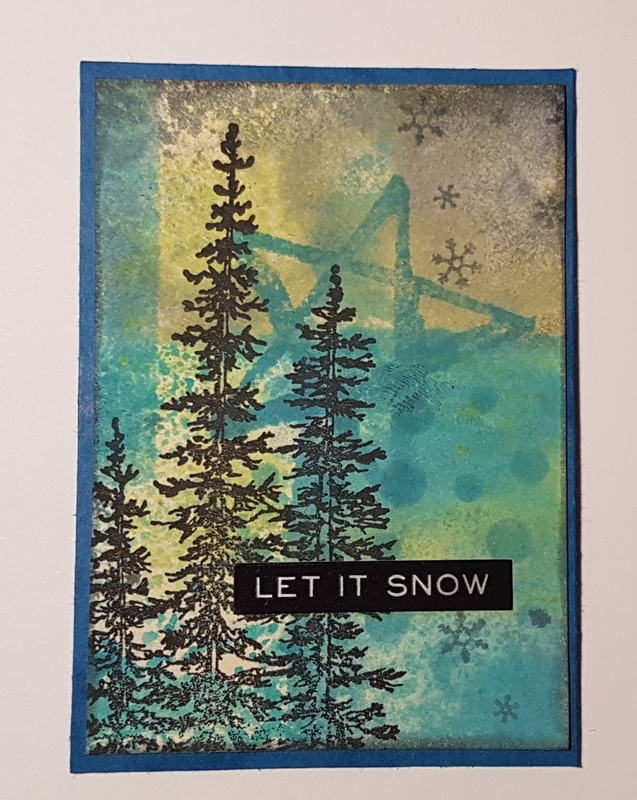 I used the Tim Holtz stickers for simple sentiments. 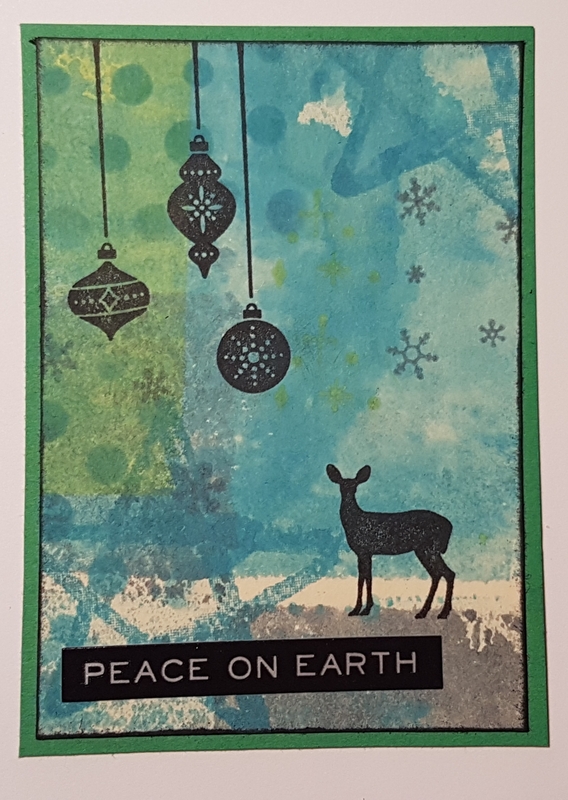 I love all of these and they are quite flat so perfect for card toppers for when the time comes to mount them and make them into Christmas cards. Great addition of techniques to make these ATCs. Gorgeous!